Washington (USA), Nov 13 (ANI): After listening to the Khashoggi audio tapes, the American intelligence officials have found strong evidence that allegedly links Prince Mohammed bin Salman of Saudi Arabia to the killing of former Washington Post journalist Jamal Khashoggi. California [United States], October 31 (ANI): Following a New York Times report about sexual misconduct by executives at tech giant Google and its parent company Alphabet, an executive at the company's X research division, formerly known as Google X, has resigned. Pathanamthitta (Kerala) [India], Oct 18 (ANI): Thiruvananthapuram Inspector General of Police (IGP) Manoj Abraham on Thursday rebutted reports that Suhasini Raj, who is reportedly a New York Times journalist, was forced to return midway from Kerala's Sabarimala Temple. Washington D.C. [USA], Sep 12 (ANI): Two-time Academy Award-winner Sally Field has revealed that as a child, she was sexually abused by her stepfather. Washington DC (USA), Sep 07 (ANI): United States President Trump on Friday called on the Department of Justice to investigate an anonymous, anti-Trump publication on the leading daily 'The New York Times' by an author, who had been identified as a "senior administration official." Pune (Maharashtra) [India], July 12 (ANI): Shridhar Chillal, the Pune-based man, who holds the Guinness World Record for having the longest fingernails, has cut them after 66 years. Washington DC [United States], July 08 (ANI): United States President Donald Trump on Sunday asked the "angry" Democrats to look into "the Pakistani fraudster" and former US Secretary of State Hillary Clinton's "illegally" deleted emails, among other things. New York [United States], June 18 (ANI): American golfer Brooks Koepka has made history and finished strong as he became the first player in 29 years to win back-to-back US Open titles at Shinnecock Hills in New York. St. Petersburg [Russia], June 16 (ANI): Iran beat Morocco in their World Cup Group B opener in St. Petersburg as Morocco substitute Aziz Bouhaddouz scored an own goal in stoppage time. London, [United Kingdom] May 18 (ANI): London-based embattled analytics company Cambridge Analytica has filed for bankruptcy in the Southern District of New York. 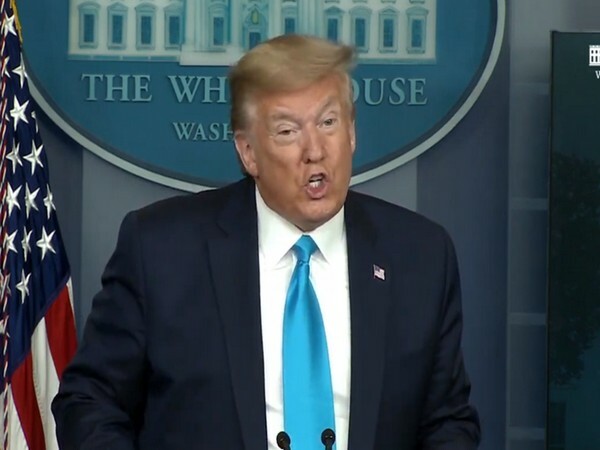 Washington DC [United States] May 1 (ANI): The Trump administration on Monday (local time) announced that it has extended a decision on implementing steel and aluminum tariffs on the European Union (EU), Canada and Mexico.